Look into yourselves to see whether you practice righteousness in all that you do, and whether all of your actions are being observed by God: This is the principle by which those who believe in God conduct their affairs. You will be called righteous because you are able to satisfy God, and because you accept God’s care and protection. In God’s eyes, all those who accept God’s care, protection, and perfection, and who are gained by Him, are righteous, and He regards them all as precious. The more you accept the current words of God, the more you will be able to receive and understand God’s will, and the more you will therefore be able to live out God’s words and satisfy His requirements. This is God’s commission for you, and it is what all of you should be able to achieve. If you use your own conceptions to measure and delimit God, as if God were an unchanging statue of clay, and if you completely delimit God within the parameters of the Bible and contain Him within a limited scope of work, then this proves that you have condemned God. Because the Jews in the age of the Old Testament took God to be an idol of fixed form that they held in their hearts, as if God could only be called the Messiah, and only He who was called the Messiah could be God, and because humanity served and worshiped God as if He were a (lifeless) clay statue, they nailed the Jesus of that time to the cross, sentencing Him to death—the guiltless Jesus was thus condemned to death. God was innocent of any offense, yet man refused to spare Him, and insisted on sentencing Him to death, and so Jesus was crucified. 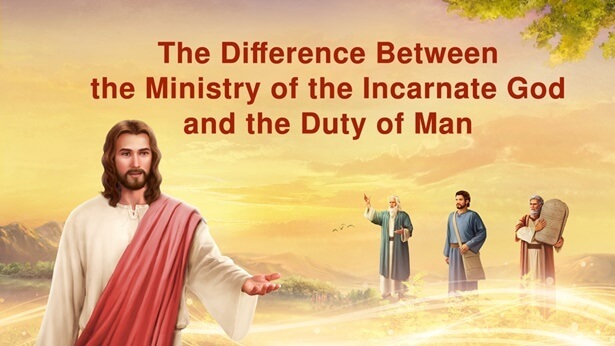 Man always believes that God is unchanging, and defines Him on the basis of one single book, the Bible, as though man has thoroughly penetrated God’s management, as though man has gotten all that God does in the palm of his hand. People are absurd in the extreme, arrogant in the extreme, and they all have a flair for hyperbole. No matter how great your knowledge of God, I still say that you do not know God, that you are someone who opposes God the most, and that you have condemned God, because you are utterly incapable of obeying the work of God and walking the path of being made perfect by God. Why is God never satisfied with the actions of man? Because man does not know God, because he has too many conceptions, and because his knowledge of God in no jot matches the reality, but instead monotonously repeats the same theme without variation and uses the same approach for every situation. And so, having come to earth today, God is once more nailed to the cross by man. Cruel mankind! The connivance and intrigue, the snatching and grabbing one from another, the scramble for fame and fortune, the mutual slaughter—when will it ever end? Despite the hundreds of thousands of words God has spoken, no one has come to their senses. People act for the sake of their families, sons and daughters, for their careers, future prospects, position, vainglory, and money, for the sake of food, clothing, and the flesh, but is there anyone whose actions are truly for the sake of God? Even among those who act for the sake of God, there are but few who know God. How many people do not act out of their own interests? How many do not oppress or ostracize others in order to protect their own position? And so, God has been forcibly sentenced to death innumerable times, and countless barbaric judges have condemned God and once more nailed Him to the cross. How many can be called righteous because they truly act for the sake of God? Is it so easy to be perfected before God as a saint or a righteous person? It is a true statement that “there are no righteous upon this earth, the righteous are not in this world.” When you come before God, consider what you are wearing, consider your every word and action, your every thought and idea, and even the dreams that you dream every day—they are all for your own sake. Is this not the true state of affairs? “Righteousness” does not mean giving alms to others, it does not mean loving your neighbor as yourself, and it does not mean refraining from quarrels and disputes or robbing and stealing. Righteousness means taking God’s commission as your duty and obeying God’s orchestrations and arrangements as your heaven-sent vocation, regardless of time or place, just like all that was done by the Lord Jesus. This is the righteousness of which God has spoken. That Lot could be called a righteous man is because he saved the two angels sent by God without considering his own gain and loss; it can only be said that what he did at that time may be called righteous, but he cannot be called a righteous man. It was only because Lot had seen God that he gave his two daughters in exchange for the angels, but not all of his behavior in the past stood for righteousness. And so I say “there are no righteous upon this earth.” Even among those who are in the stream of recovery, no one can be called righteous. No matter how good your actions, no matter how you appear to glorify the name of God, neither hitting and cursing others, nor robbing and plundering from others, you still cannot be called righteous, for this is what a normal person is capable of having. What is key right now is that you do not know God. It can only be said that at present you have a little bit of normal humanity, but no elements of the righteousness spoken of by God, and so nothing that you do is capable of proving that you know God. Before, when God was in heaven, man went through the motions in his actions. Today, God has been among man—no one knows how many years it has been—yet in doing things man is still going through the motions and trying to fool Him. Isn’t man much too backward in his thinking? It was the same with Judas: Before Jesus came, Judas would tell lies to deceive his brothers and sisters, and even after Jesus came, he still did not change; he did not know Jesus in the least, and in the end he betrayed Jesus. Was this not because he did not know God? If, today, you still do not know God, then it is possible that you may become another Judas, and following upon this the tragedy of Jesus’ crucifixion in the Age of Grace, thousands of years ago, would be played out again. Do you not believe this? It is a fact! At present, the majority of people are in a similar situation—I may be saying this a little too soon—and such people are all characters who play the role of Judas. I am not speaking nonsense, but on the basis of fact—and you cannot but be convinced. Although many people make a pretense of humility, in their hearts there is nothing but a pool of dead water, a ditch of stinking water. Right now there are too many like this in the church. Do you think I am completely unaware of this? Today, My Spirit decides for Me, and bears testimony for Me. Do you think I know nothing? Do you think I understand nothing of the devious thoughts within your hearts, the things you keep within your hearts? Is it so easy to get the better of God? Do you think you can treat Him in whatever way you like? In the past, worried lest you become constrained, I kept on giving you freedom, but humanity was unable to tell that I was being good to them, and when I gave an inch they took a yard. Ask around among yourselves: I have almost never dealt with anyone, and have almost never lightly reprimanded anyone—yet I am very clear about the motivations and conceptions of man. Do you think God Himself, to whom God bears testimony, is a fool? In that case, I say you are too blind! I will not scold you, but let’s see just how depraved you can get. Let’s see whether your clever little stratagems can save you, or whether trying your best to love God can save you. Today, I will not condemn you; let’s wait until the time of God to see how He takes retribution upon you. I have no time for idle chitchat with you now, and I am unwilling to delay My greater work solely on your account. A maggot like you is not worthy of the time it would take God to deal with you—so let’s see just how dissolute you can get. People like this do not pursue knowledge of God in the least, nor do they have the least bit of love for Him, and still they wish for God to call them righteous—isn’t this a joke? Because a small number of people are actually honest, I will focus only on keeping on with providing life to man. I will only get done what I should get done today, but in future I will bring retribution upon each person according to what he has done. I have said all that there is to say, for this is precisely the work I do. I do only what I should do, and not what I should not. Nevertheless, I hope that you spend more time in reflection: Exactly how much of your knowledge of God is true? Are you someone who has once more nailed God to the cross? My final words are these: Woe be unto those who crucify God.